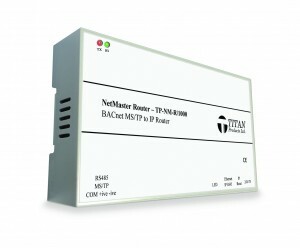 Titan Products are delighted to announce the launch of our all new MS/TP to IP Router. 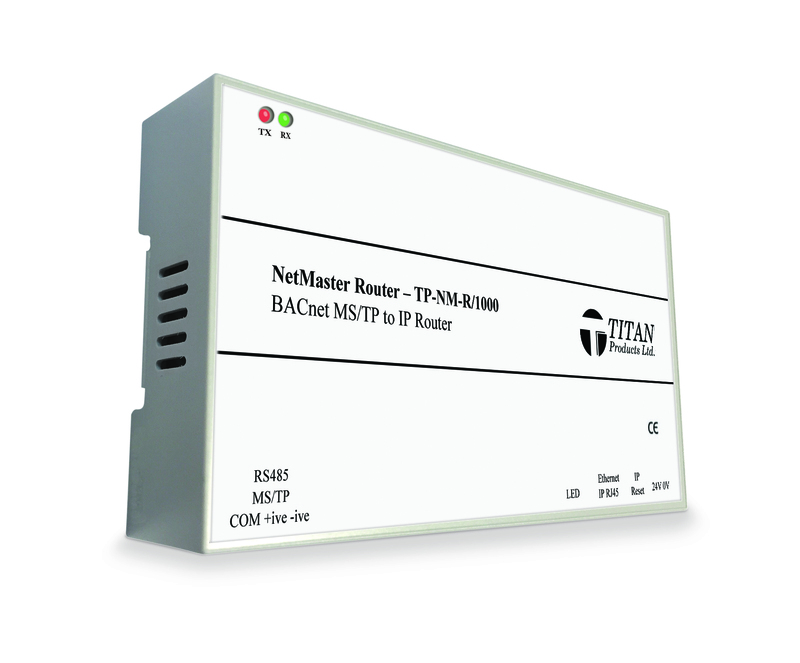 Designed to route BACnet MS/TP network points to BACnet IP, the TP-NM-R/1000 NetMaster Router is a powerful, intelligent, secure and cost effective solution for any BMS application. Designed and manufactured by Titan Products in the UK, the router’s feature set includes smart commissioning HTML5 web pages that automatically re-size for PC, mobile and tablet screens. The TP-NM-R/1000 also offers advanced 10/100 Mbps Ethernet communications and supports MS/TP baud rates from 9,600 to 76,800 bps. Flexible routing for 2 x IP networks is available as standard while all web pages are password protected for added security. Intelligent IP networking is catered for via standard features such as BACnet Broadcast Management Device (BBMD) and Foreign Device Registration (FDR). Installation is quick and easy with the DIN rail mounted enclosure. The TP-NM-R/1000 MS/TP to IP Router is fully compatible with Titan Products’ wide range of BACnet controllers which cater for Fan Coil, VAV, Under floor heating, Chilled Beam, Desk Control, Natural Ventilation and many more HVAC applications. The TP-NM-R/1000 has a list price of £250 and standard discounts apply. Please contact Titan Products if you would like a quote for any projects. For more information on the TP-NM-R/1000 router or any other products please contact the sales team on 0161 406 6480. This entry was posted in BACnet Controllers, Company News. Bookmark the permalink.